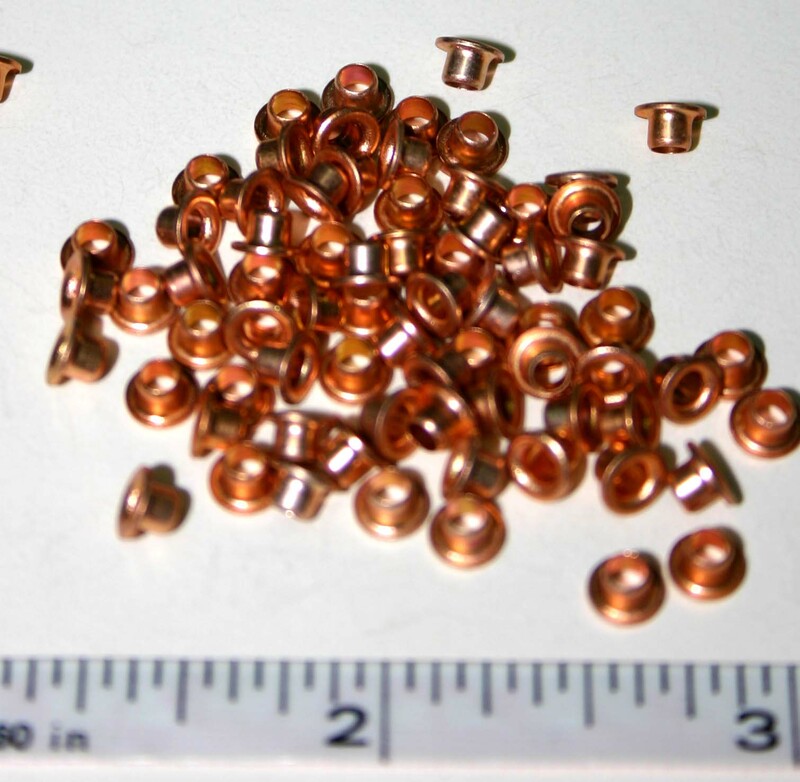 25 eyelets per package. It's copper. Our copper colored 1/8" eyelet, perfect for small sewing.